Good things are happening in London at the moment. There was our pop-up shop, of course; the new Drake's shop looks amazing (do visit if you haven't already); and an increasing number of artisans are coming to London. 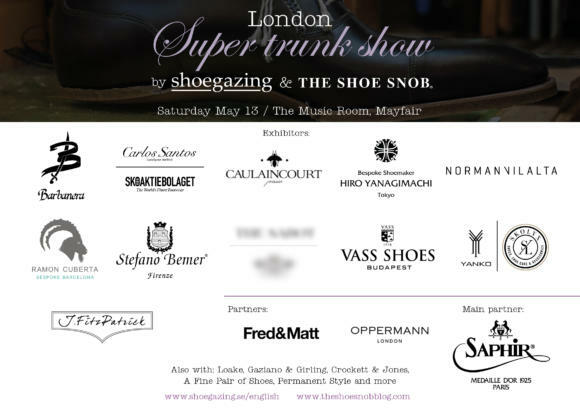 The latest development in this stellar line-up is the Super Trunk Show for shoes, which has been held previously in Stockholm but is now coming to London. 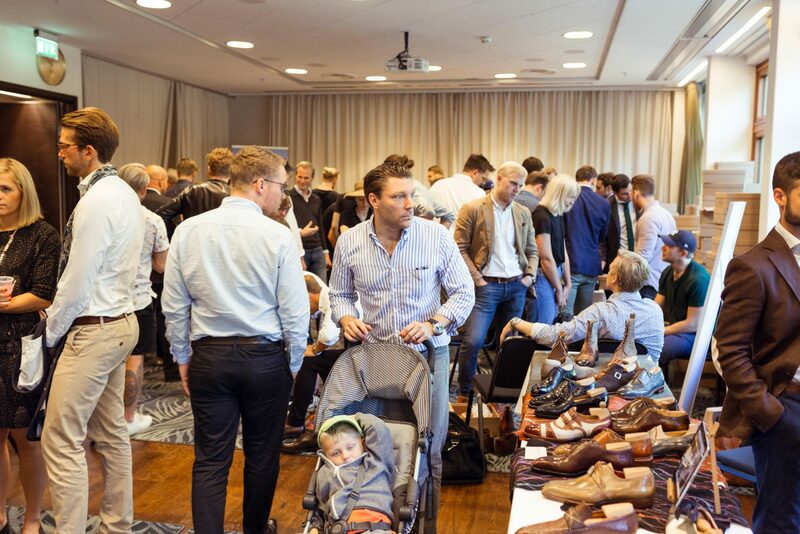 Organised by Jesper from Shoegazing.se and Justin from The Shoe Snob, it aims to bring together a large number of shoe brands not necessarily accessible in London - together with some events like a shoe-polishing competition. I have also been asked to chair a discussion in the evening between a few invited speakers: Tony Gaziano, Sarah Nelson of A Fine Pair of Shoes, and Chris Tan of Crockett & Jones. We will be discussing the state of the high-end shoe industry - consumer awareness, emerging trends, and issues like currency and leather supply that we are rarely aware of as customers. The trunk show is being held on Saturday, May 13th, from 11am to 8pm in The Music Room, 26 South Molton Lane, Mayfair. And one new store to be announced closer to the date. There will also be displays from Saphir (shoe care), Fred & Matt (overshoes) and Oppermann London (leather bags and accessories). If you want more information on the makers, their styles and prices, I recommend reading Justin's run-down of them all here. You can follow the discussion on Super Trunk coming to London by entering your email address in the box below. You will then receive an email every time a new comment is added. These will also contain a link to a page where you can stop the alerts, and remove all of your related data from the site. These are all good news, indeed! Congrats to all the organizers! It’s absolutely crucial to keep up the trend and this vibrancy in the heart of London! Great contributions to making the world a better place! Is there a reason one brand is blurred out?